If you’re in the southern Oregon area, you would be wise to check out Kaiden Shihan Sandaikichu Steve Glaser’s Hakko Seishinkan Dojo. It is located in Ashland, Oregon and offers instruction in Hakkoryu Jujutsu as well as Koho Igaku Shiatsu. The Dojo was originally established in 1984 in Los Angeles California by Steven Glaser and Ralph Verde, and moved to Ashland, Oregon in 2010. Glaser sensei is an excellent Shihan and teacher and his website can be found here. 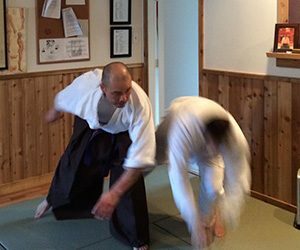 Kaiden Shihan Sandaikichu Gordon Kiyokawa is teaching east of Portland in Gresham, Oregon. 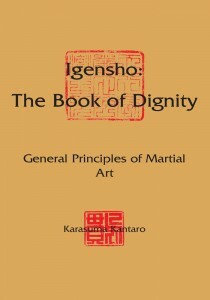 Kiyokawa sensei is an excellent Shihan and martial artist with a focus on practical and effective techniques. He is in the process of setting up a website for his dojo, so in the meantime he can be contacted at Gordon3105@Gmail.com. Greg Casey sensei recently launched a new website for his dojo in New Orleans, Louisiana. The Hakkoryu Shindokai Dojo is a branch dojo (#271) authorized by the Hakkoryu Honbu Dojo in Omiya, Japan and is located in the Greater New Orleans area. Casey sensei is available for instruction in Hakkoryu Jujutsu and Koho Shiatsu Igaku. Please visit the dojo website here and contact Casey sensei for more information.